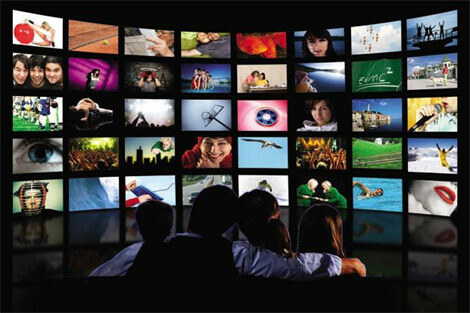 Under the scheme to watch the preferred channels by the cable TV customers, a monthly charge of Rs. 153 has been fixed for 100 channels. The Telecom Regulatory Authority of India (TRAI) has announced that this new scheme will come into effect from 1st February. Presently, the package of channels is being offered either through cable TV or DTH. Though there some channels which are not preferred for watching are also included in this set-up, the customers need to pay for the same as well! In this situation, TRAI had already announced that a new scheme enabling to watch only the customer-preferred channels will be provided. As per this, the customer needs to hand over the list of preferred channels to the service provider (cable TV operator or DTH seller). Presently, TRAI has announced the details of the minimum charges and other details. As per this, the scheme of watching the preferred channels will come into effect from 1st February. Each customer has to prefer a list of 100 channels. This would cost a monthly charge of Rs. 153 including GST. These 100 channels may be free or charged. However, in this low-cost package, HD TV channels cannot be chosen. The customers who prefer HDTV channels or any additional channels apart from the chosen 100 can pay the required additional monthly charge and get them included. TRAI has fixed the maximum charges for a paid channel must not exceed Rs. 18 per month. TRAI has now started sending SMS to the customer regarding this proposal. The SMS contains the details of the charges for various channels. With this initiative and implementation by TRAI, the customers need not pay any more to watch unpreferred channels!